What happens when the life you're running from won't let go of your heart? Kaitlyn Reed and Steven Braden have always had a similar philosophy of life: when the going gets tough, they get going--out of town and away from the problem. Now they are both back in Last Chance, New Mexico, and trying to start over. Kaitlyn is working to reestablish a relationship with the seven-year-old daughter she left behind six months earlier. Steven is trying to prove to his family that he is not the irresponsible charmer they have always known him to be. As Kaitlyn and Steven find themselves drawn to one another, one big question keeps getting in the way: How will they learn to trust each other when they don't even trust themselves? With emotional depth and characters who leap off the page and into your heart, Cathleen Armstrong invites you to return once more to the dusty and delightful town of Last Chance. I've been thinking on how to write this review for a little while. As I thought it out in my mind, it kept straying into a "preach it sister" post. I've had books hit close to home before, but this one hit the nail on the head in a whole other area and all of these thoughts just kept running through my head. So, I will try not to chase the bunny trail on this review...if I do, I apologize in advance. Kaitlyn and Steven, they are both very different people, but share a common problem. One I can relate with. They are the youngest of their families. They have lived in the shadow of their older and better siblings....at least that is how it feels by the people who constantly talk about them around them. They have been hurt by the snide and snippy remarks that have been hurled at them. The standards that their elder siblings set were high and when they didn't reach the mark, the decided to go the opposite way, they ran toward the trouble maker side. If they couldn't meet one expectation, they better try for the other. And, that is such a real battle as a young child. Goodness, it is real. Cathleen Armstrong captured this hurt so well and through the story, I kept thinking how hard it is the be the littlest. Everyone you know thinks of you as the baby and that you're no where near being mature enough. There isn't a lot expected from them because they are the youngest and when they have a good idea or thought, it is over looked. This was a story that touched on something that really is not seen a lot...at least for me, and I enjoyed how Steven and Kaitlyn set out to prove everyone wrong and not in a revengeful way, but to show their maturity. Both were a bit lost from previous choices, but they know those actions aren't who they really are. They carry baggage and it haunts them, but they want to prove they are better then who people think they are. And they have to learn to have faith and learn trust and it was a very touching story. 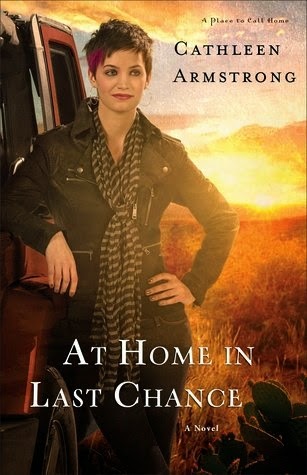 At Home In Last Chance also is one that shows how decisions can affect people. Olivia, Kaitlyn's daughter has a lot to over come, but she has grown tremendously since the previous book, One More Last Chance. She is a smart and spunky little girl, but she was hurt badly and she has a lot to over come, but she has people who love her and the support she gets is wonderful. There is a sweet romance to this story, but because these characters have learned, they take their time and it isn't a flash bang romance. It is sweet and it starts out as a friendship. I really enjoyed that part of the story immensely. There was just one small thing that kind of caught my attention. It felt like the story ended a little soon. I guess since I was enjoying it a bit and was hoping for more. This was a wonderful story and it had many elements to it. Plus, we also got to see and visit with characters from the previous books in the series. And Gran/Miss. Elizabeth is still a wonderful central figure to the story. Last Chance wouldn't be the same without her love for those around her. Cathleen Armstrong lives in the San Francisco Bay Area with her husband, Ed, and their corgi. 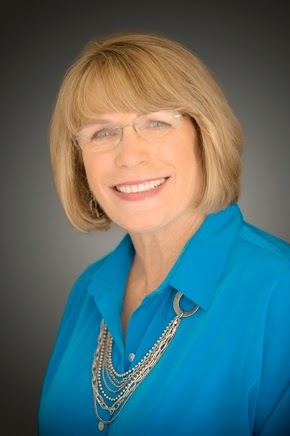 Though she has been in California for many years now, her roots remain deep in New Mexico where she grew up and where much of her family still lives. After she and Ed raised three children, she returned to college and earned a BA in English. Her debut novel Welcome to Last Chance won the 2009 American Christian Fiction Writers Genesis Award for Women's Fiction.